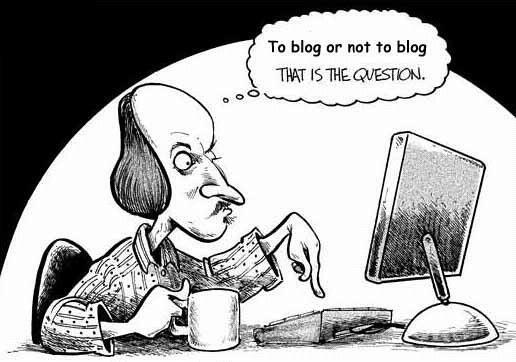 Home /Blogging » Why don’t you have a blog? If you are a small business owner you most likely have a lot to do already. Why do you want to add another thing to make your day more busier? Would you be interested if I told you that by adding a blog to your business you can make your business many times more successful than it already is and you only have to spend a couple of minutes every day to get that return. Would you then be interested? Dedicating a couple of minutes on a daily basis to your blog can definitely help you business grow faster than any other type of marketing online. Here’s a couple of reasons I believe why you should add a blog to your marketing arsenal. Business personality: When you write a new blog post for your business, it automatically comes with your personality. There really is no other marketing or business asset that are more powerful than your own personality. Helps your SEO efforts: Blogging is an essential SEO tool that can help you increase your valuable organic search engine rankings on Google. Every new blog post that you publish is seen as a new page by the search engines and has the potential to rank for your keywords. Blogging builds trust: People really want to do business with people that they know and that they trust. When you publish a new blog post, it’s an opportunity to build some credibility around your name and be labelled as the expert in your niche. This builds trust for the target audience you are reaching. Now is the time to consider starting a blog for your business. In my experience there are no other tool that is effective to help get the word out about your business, to build credibility, and trust.